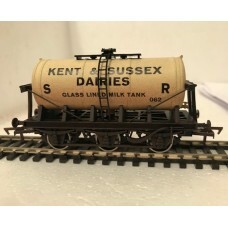 Kent & Sussex 00 Gauge 6-wheel Milk Tanker Running No. 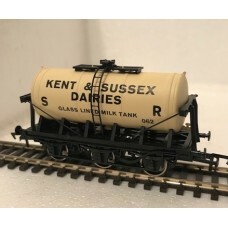 62 (Pristine) - 78 produced..
Kent & Sussex 00 Gauge 6-wheel Milk Tanker Running No. 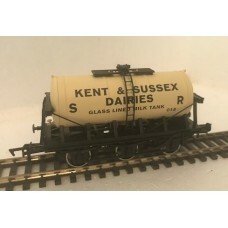 62 (Weathered) - 79 produced..
Kent & Sussex 00 Gauge 6-wheel Milk Tanker Running No. 18 (Pristine) - 86 produced..
S2590P - Fruit D Garden of England. 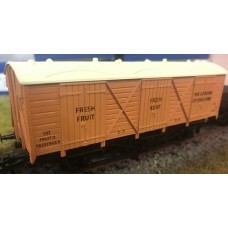 OO Gauge We have had these designed and produce..